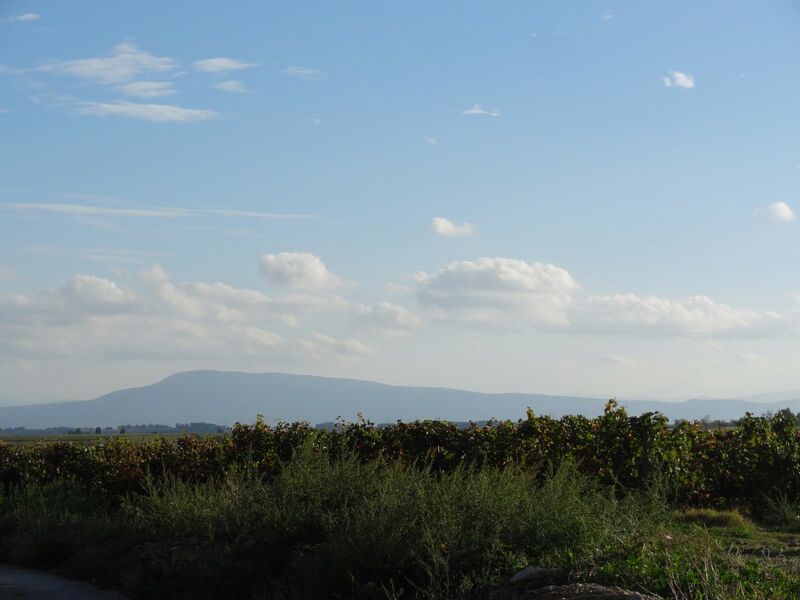 After building his knowledge in vilticulture and wine industries, Claude Fonquerle in 2002, came back to his native region and established his own estate at La Livinière in Minervois, Languedoc. 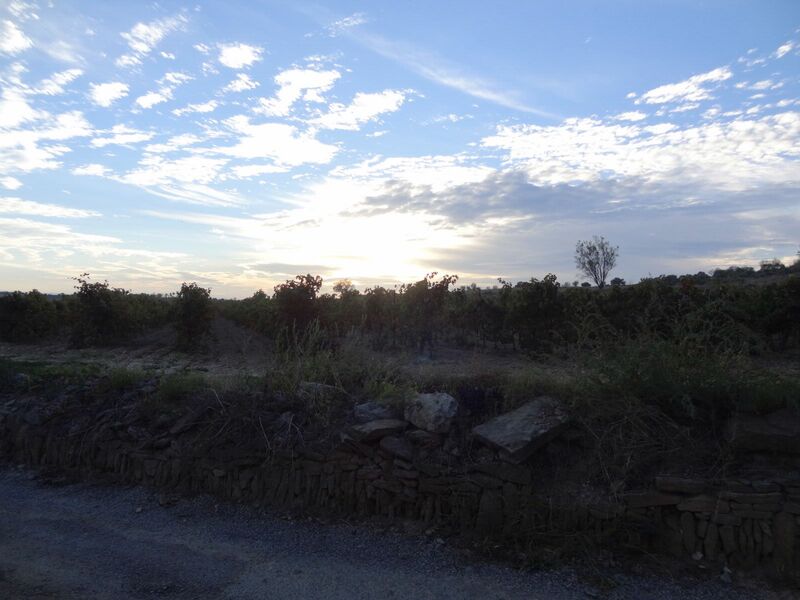 The estate of 8 ha is between Carcassonne and Narbonne. 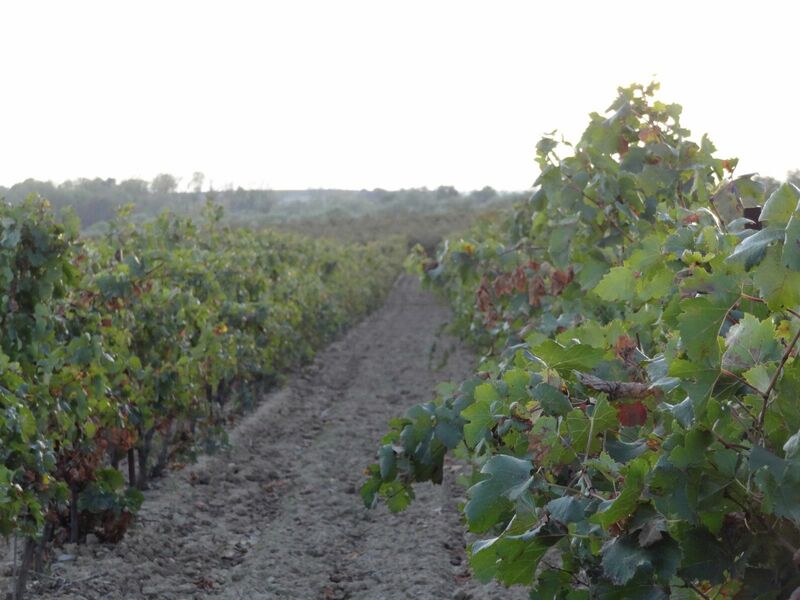 Which is far away from the Mediterranean and provide the best weather for the grapes. 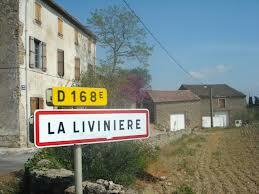 There is any diseases who could set up in “La Livinière”. Only the oïdium who force to get vigilant during the plant growth phase. But this disease can be treated with sulfites in powder. 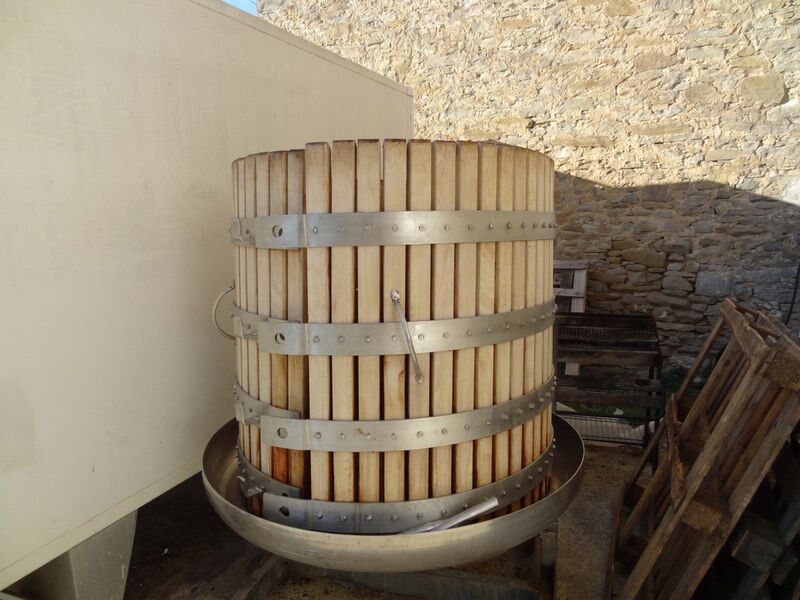 After the harvest made manually, the vinification is made traditionally. For the cuvee Prima Donna the vinification is made in a opened 500L wooden tank instead of concrete tank as the other wines. The white wine is made in the same way. Claude Fonquerle was already playing among growing vines before he knows how to walk. 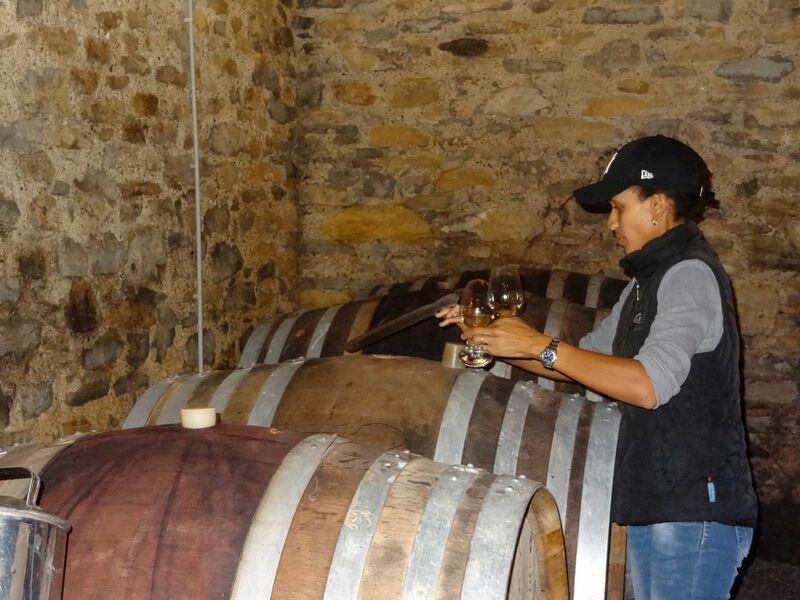 After 10 years working at Domaine du Père in Chateauneuf-Du-Pape, he continue to grow his professional experiences in Côte du Ventoux at Chateau Valcombe. Then when he came back to his own native region and decided to establish the estate with he wife, Isabel Fonquerle who is passionate too. 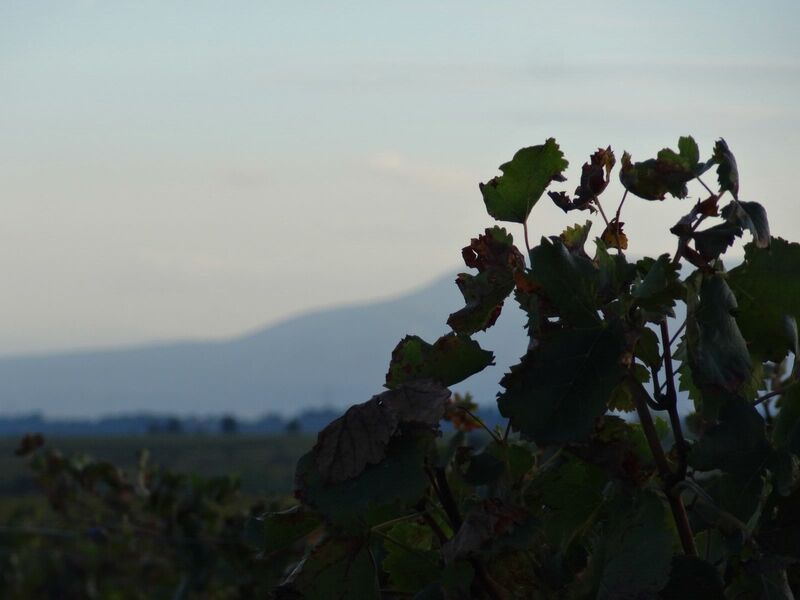 There are aiming to develop a range of wines from indigenous varietals without losing the specific characteristics of wines of the Languedoc, is nevertheless oriented towards fruit, finesse, purity and complexity. 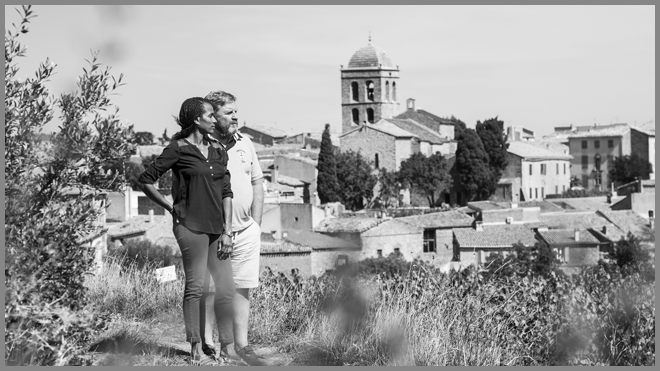 Even if, for personal historical reasons, Château Neuf-du-Pape is still engraved in the subconscious, it is the fascination with Burgundy which is the driving force for the Domaine’s philosophy. In Occitan means White House, which is also in homage to Mrs Blanche the owner who allowed us to set up our production in her barn that had been closed for 40 years. The labels: The triangle symbolize the stability, aims and determination that we search for in our wine production. There is the whirlwind of time passing, the hand of the winemaker and the arches of the 12th century Romanesque church in La Livinière village. A delightful blend of Cinsault, Carignan, Syrah and Grenache: Refreshing palate, bright acidity, caressing texture and lip-smacking persistence. It gives a lot of pleasure. A delicious, fruity, juicy, easy drinking style carignan from the Minervois. Great Value! Impressive red from Languedoc that combines power and vivacity. Made from Grenache gris, this wine displays great overall balance of richness and freshness. This excellent white will be versatile on the dinner table. Impressive red from Languedoc that combines power and drinkability.